I wrote this guest post a while back for my funny friend (and fellow GIF-lover) Mary Carver, but since it ended up being one of my favorite blurbs that I’ve ever put on the Internet, I decided to share a snippet of it here with you. You can read the whole piece, “What Mindy Paling Taught Me About Life” over on her website. Some people choose to read self-help books to learn how to rule at life. I prefer to read books by funny women for the same reason. Tina Fey’s book taught me not to waste time trying to charm the uninterested, to stay true to my own voice, and that it’s okay to be both funny and thoughtful at the same time. She also taught me not to talk through the gap in the door to the person one stall over in the bathroom because it’s just poor manners. Amy Poehler’s book taught me to just say Yes already. To say yes to the scary, new, and wildly unexpected opportunities that come my way- and to remember to have fun with them. Because no one looks stupid while they’re having fun. Amy Schumer’s book taught me that having a tender heart and being funny often go hand in hand out of necessity. Because sometimes you see what’s unbearably true about the world and you have to laugh about it so you don’t cry. The chapter in her book about her father pooping his pants in the middle of an airport because MS was slowly robbing him of control over his body broke my heart and had me rolling at the same time. But out of all the women in the Funny Girl’s Club, I would have to say I’ve learned the most from Mindy Kaling. Here’s what I love about Mindy: She writes as if she’s talking to her closest and funniest friend. She never writes down to her reader, which is a common trap for comedians. Instead she writes to you as if you’re someone whom she genuinely wants to impress. She makes you feel invited into the club, all while maintaining relatablity and confessing to her own need to be invited in. And of course, as any close friend would do, she tells her secrets and doles out advice with the perfect mix of confidence and self-deprecation. 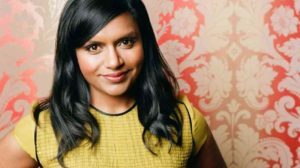 Mindy’s books taught me that humility and gumption are equally important. She pokes fun at herself and the industry, while bringing both depth and sharp humor to comedy that would otherwise feel vapid and depressing.